Not too long ago we shared the stock wallpapers from Apple’s new phones and today we have the iPhone XS, XS Max and iPhone XR stock ringtones for you. The iPhone XS. Image source: Digital Trends. The iPhone XS Max. Image source: Digital Trends. 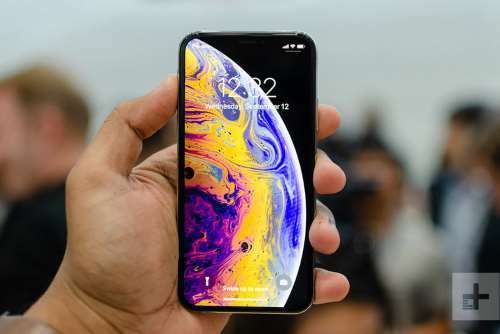 The iPhone XS features a notched 5.8in Super Retina OLED display with a resolution of 1125 x 2436 that makes up for a sharp enough 458 PPI pixel density. The XS Max features a 6.5in Super Retina OLED display with a resolution of 1242 x 2688 and the same 458 PPI pixel density as the smaller XS. Both iPhones are powered by Apple’s latest and greatest, mighty and powerful A12 Bionic SoC coupled to Apple’s powerful in-house GPU aided by a generous 4GB of RAM (more than enough considering iOS is optimized for the hardware). Storage wise the XS and XS Max is equipped with a 64GB/256GB/512 GB of onboard flash storage. Speaking of which, as expected on any Apple device, a MicroSD card slot for expandable storage is absent. 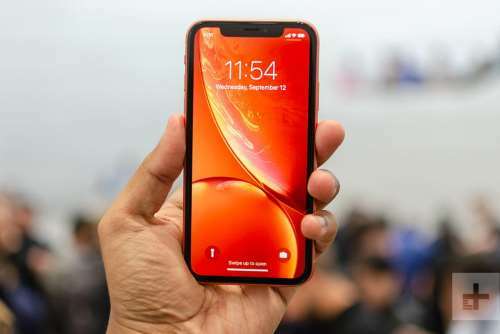 As far as biometric authentication is concerned, the XS and XS Max feature FaceID technology much like last years X (although faster than the X) by employing a combination of sensors at the front such as the Dot Projector, Infrared Camera and Flood Illuminator. Dual 12MP sensors. Image source: Digital Trends. Dual 12MP sensors on the XS Max. Image source: Digital Trends. Photography on the XS and XS Max is handled by a dual camera setup at the rear featuring a primary wide-angle with larger pixels 12MP (f/1.8 lens) (OIS) + 12MP telephoto (f/2.4 with 2x optical zoom) (OIS) sensors combination assisted by a Quad-LED True Tone (dual tone) flash. A 7MP camera (f/2.2 lens) is featured up front. The camera at the rear can record videos with a resolution of up to 4K @ 60fps. The front selfie shooter can record video with a resolution up to 1080p @ 60fps. A 2658 mAh and 3174mAh battery are onboard the iPhone X and XS Max respectively. Coming to the connectivity side, both devices have you all covered with Wi-Fi 802.11 a/b/g/n/ac, Bluetooth 5.0 LE with A2DP and EDR, GPS for navigation and location-based services and more. 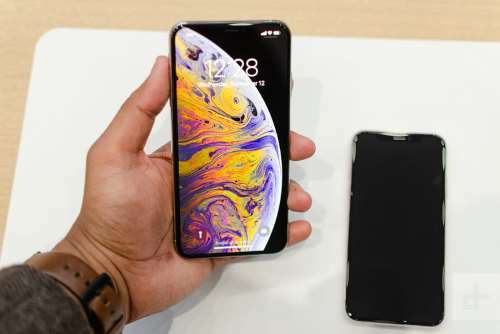 Both the devices have dual sim functionality meaning you can insert your regular nano Sim + an embedded Apple e-Sim inside the XS and XS Max allows users in supported countries to add their second number or plan. Apple’s Lightning port is onboard the XS and XS Max for charging and data transfers. Also, both devices feature fast battery charging, however, to enjoy fast charging speeds, you would have to shell out $30 for a 30W fast charger and 20$ for a USB-C to Lightning cable. Unsurprisingly, a headphone jack is not present in the XS and XS Max. The XS and XS Max run on iOS 12 out of the box. Black, Gold and Silver. Image source: GSMArena. Coming to the pricing and availability, at the time of writing this article, in India, the iPhone XS and XS Max are available for pre-order via Flipkart. The 64GB, 256GB and 512GB variants of the XS will set you back Rs. 99,900, Rs. 1,14, 900 and 1,34,900 respectively. The larger XS Max will set you back Rs. 1,09,900, Rs. 1,24,900 and Rs. 1,44,900 for the 64GB, 256GB and 512GB variants respectively. 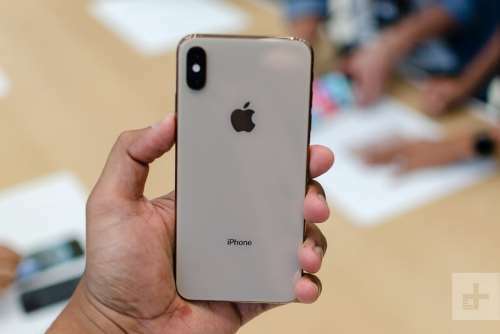 As far as the paint jobs are concerned, the XS and XS Max come in Gold, Space Grey and Silver. 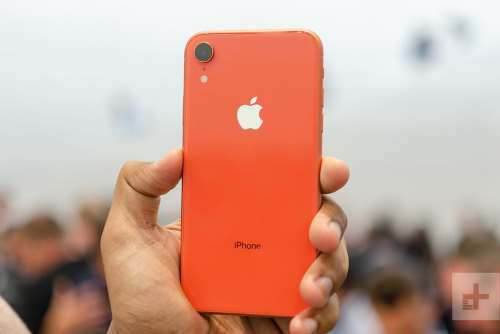 The iPhone XR. Image source: Digital Trends. A wide-angle 12MP camera. Image source: Digital Trends. 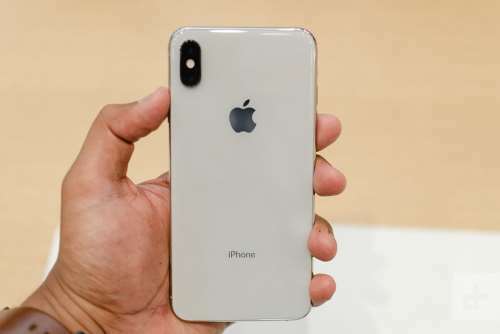 Photography on the XR is handled by a single camera setup (the exact same primary camera that is onboard the XS and XS Max) at the rear featuring a wide-angle camera with larger pixels 12MP (f/1.8 lens) (OIS) assisted by a Quad-LED Truetone (dual tone) flash. A 7MP camera (f/2.2 lens) is featured up front. The camera at the rear can record videos with a resolution of up to 4K @ 60fps. The front selfie shooter can record video with a resolution up to 1080p @ 60fps. A 2942 mAh battery is onboard the iPhone XR. Coming to the connectivity side of the XR have you all covered with Wi-Fi 802.11 a/b/g/n/ac, Bluetooth 5.0 LE with A2DP and EDR, GPS for navigation and location-based services and more. The XR has dual sim functionality meaning you can insert your regular nano sim + an embedded e-sim inside allows users in supported countries to add their second number or plan. Apple’s Lightning port is onboard the XR for charging and data transfers. Also, the device features fast battery charging, however, to enjoy fast charging speeds, you would have to shell out $30 for a 30W fast charger and 20$ for a USB-C to Lightning cable. Unsurprisingly, a headphone jack is not present in the XR. The XR runs on iOS 12 out of the box. Blue, Black, Product RED, Coral, Yellow and White. Image source: GSMArena.com. 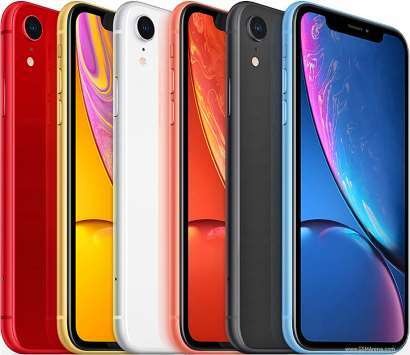 Coming to the pricing and availability, The iPhone XR will start from $749 for the 64GB. The 128GB and 256GB variants will most likely be $ 100 and $200 more expensive respectively than the base variant. The device is slated for a late October release in various markets worldwide. As far as color options are concerned the XR will be available in Coral, Blue, Yellow, Black, White, and Product RED. 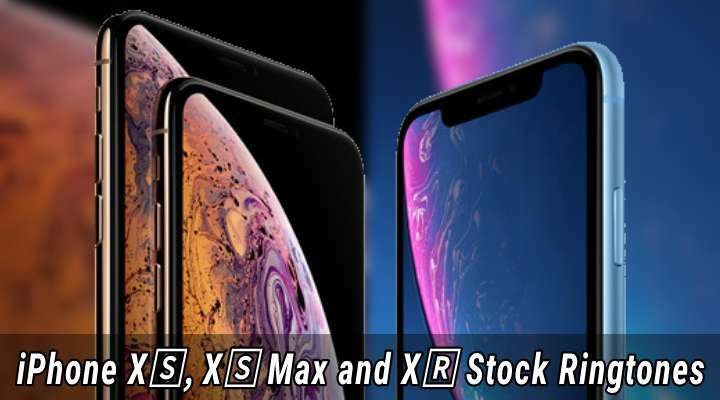 We have the official stock ringtones that are onboard the iPhone XS, XS Max, and XR. Download the ringtones via the Google Drive link given below.